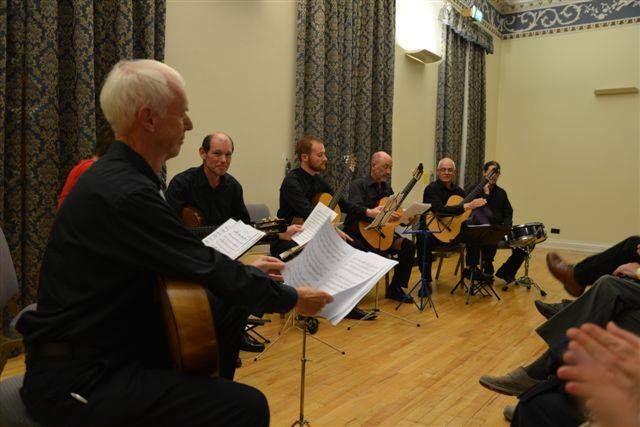 The Classical Guitar Society of Northern Ireland was founded in 1989 by a group of people who wish to promote the Classical Guitar and its music. The Society meets once a month in the Ulster College of Music, and meetings take the form of short recitals, workshops, ensemble playing and discussions. Each year the Society arranges a number of recitals by both local and international performers.